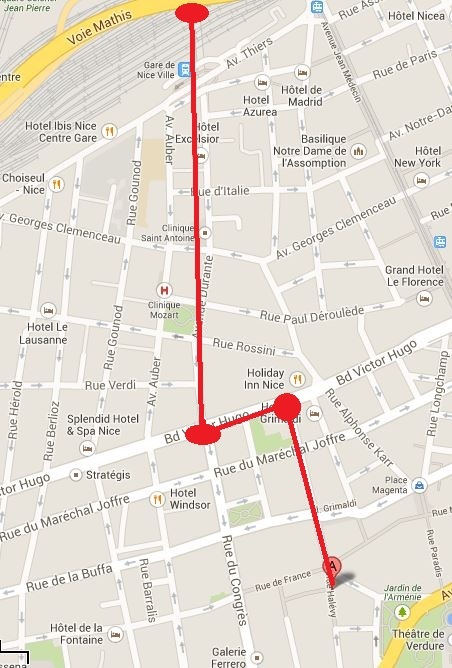 Mapping and GIS (Geographic Information Systems) nerds will geek out over this post! 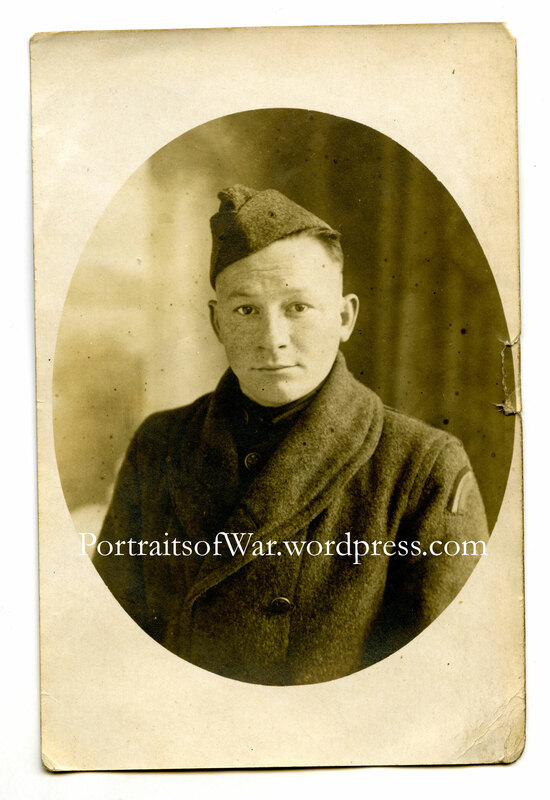 Typically I post photographic material related to the service history of US soldiers during WWI and WWII with occasional dalliances into the Civil War and Korean War. 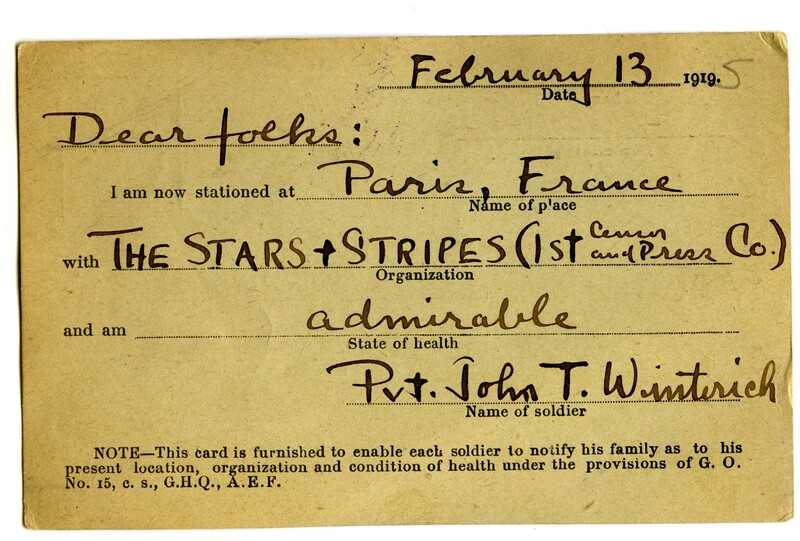 In this instance I’m posting an advertising card brought back by a WWI US soldier after the end of hostilities and occupation duties in WWI. 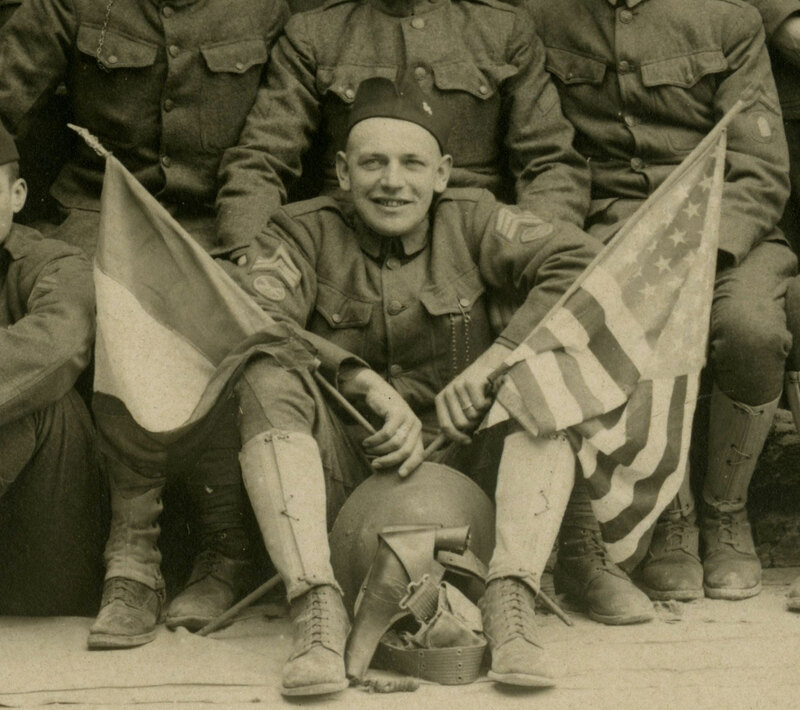 Europeans entrepreneurs quickly adapted to the new influx of comparatively cash-heavy US troops during the War and after hostilities ended in November of 1918. Photo studios, souvenir shops, tour groups, brothels, theaters and bars/restaurants all flourished in the subsequent years. 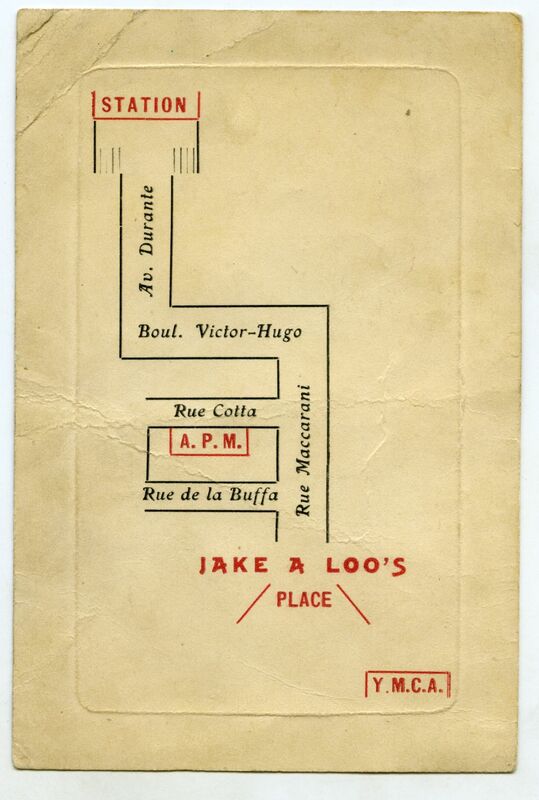 In this case, I’m presenting a card describing the exact location of a seemingly popular soldier bar in the coastal city of Nice. 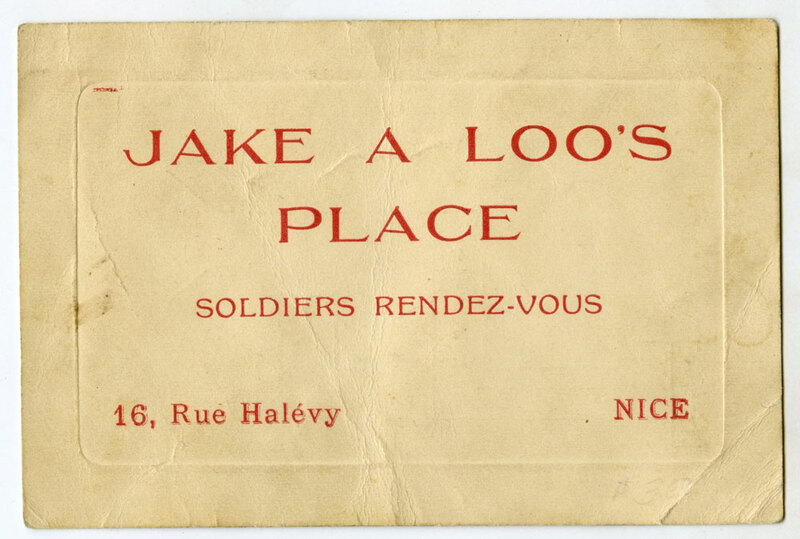 Many Allied (as well as Central Powers) soldiers took their vacations here, and this card is an example of the type of handheld ephemera that was given out in hopes of luring US soldiers into obscure bars. We encounter the same material today when visiting major US cities. 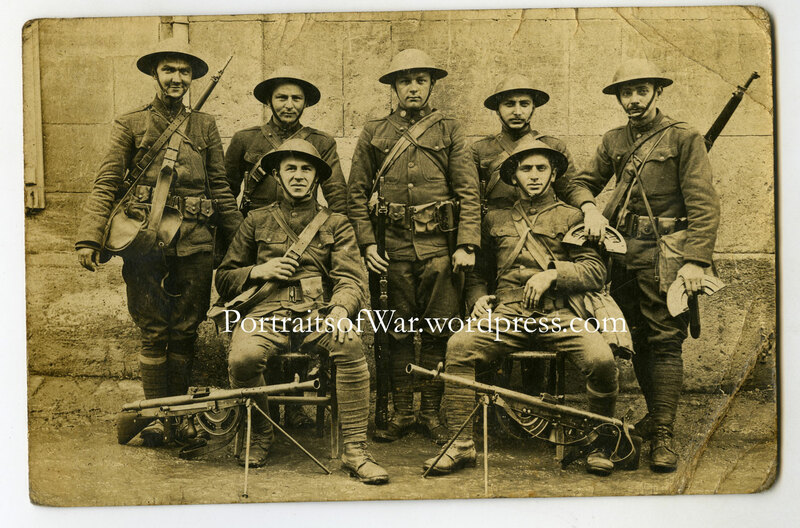 WWI Photo – 2nd Division Doughboys in Vichy, France – 1917 Trench Knives and ChauChaut Machine Guns! Ever wonder how doughboys sent their photo postcards home? 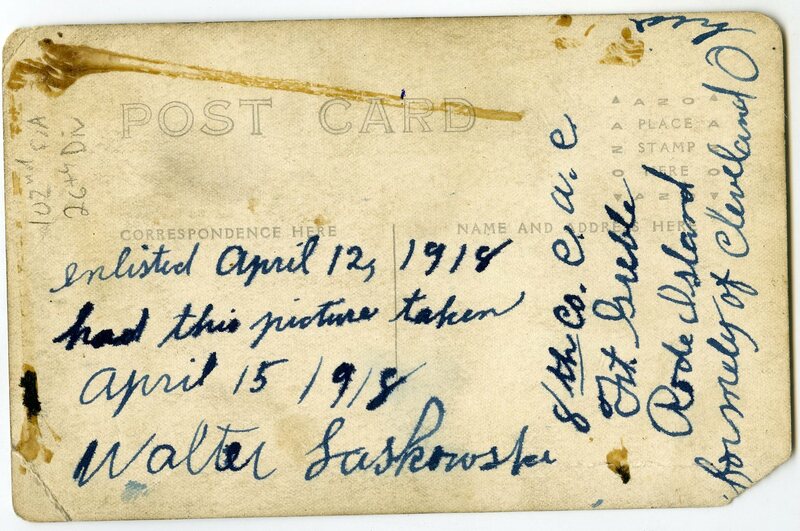 I actually don’t own a single example of a postmarked photo postcard from the war, but recently came across a grouping that contained an envelope and postcard sent home by a 42nd Division soldier. 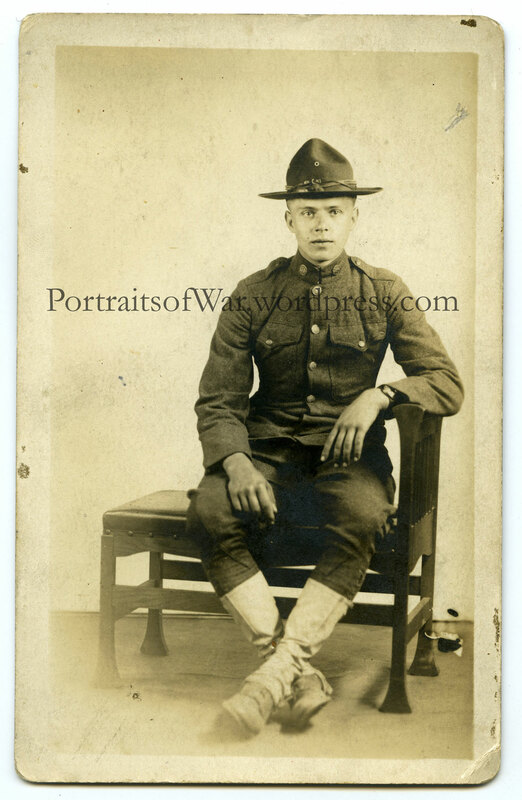 A member of the 151st Field Artillery, Frank Svec sent home a studio portrait shot of himself. 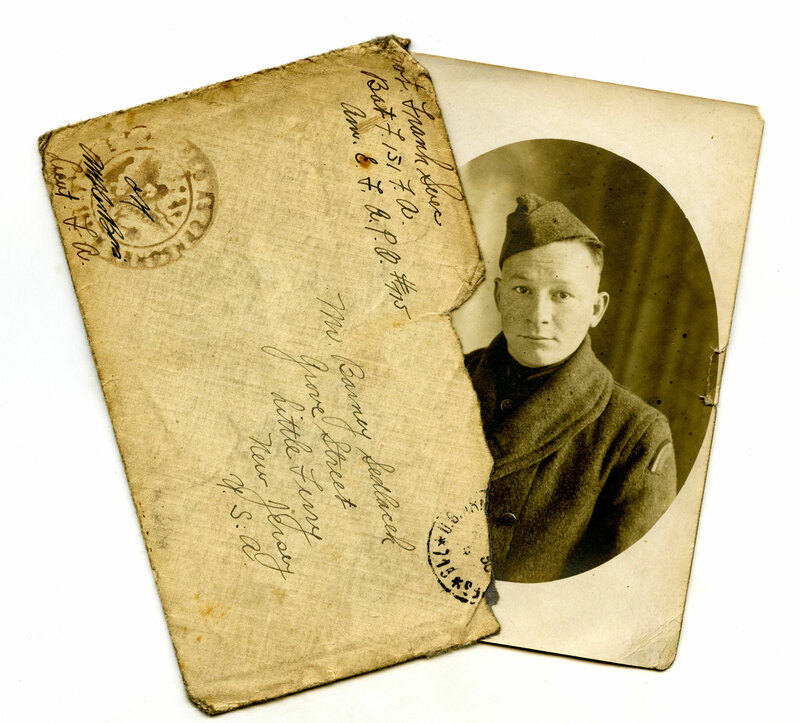 Not incredibly rare, but a good example of how WWI photos were sent during the war. 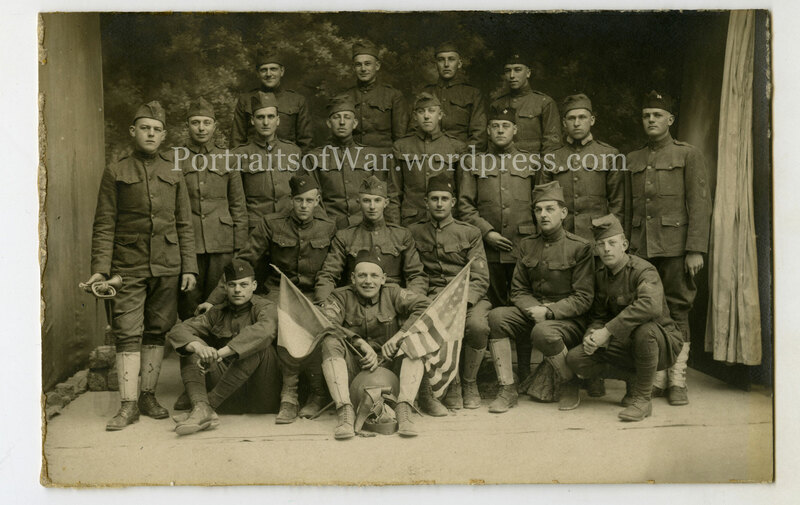 The 42nd Division is one of my favorite divisions, so this is an addition “kicker”. 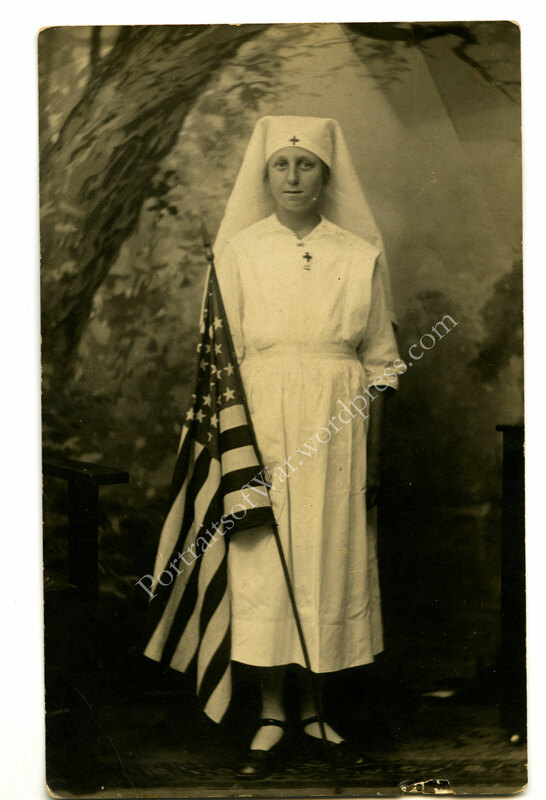 Finding wartime photos of nurses is becoming increasingly difficult given the recent demand for quality WWI photography. 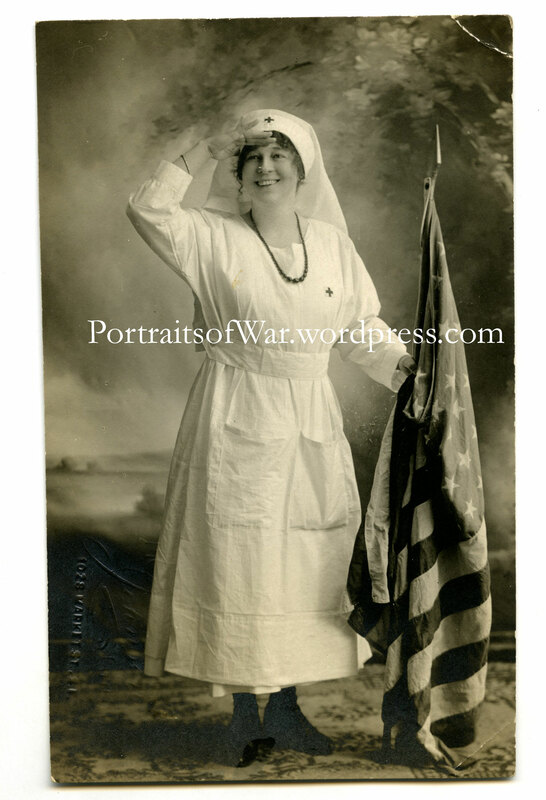 One of my favorite poses for the WWI nurse has to be the standing studio portrait with an American flag on hand. I have three good examples in my collection, but am always on the lookout for more. 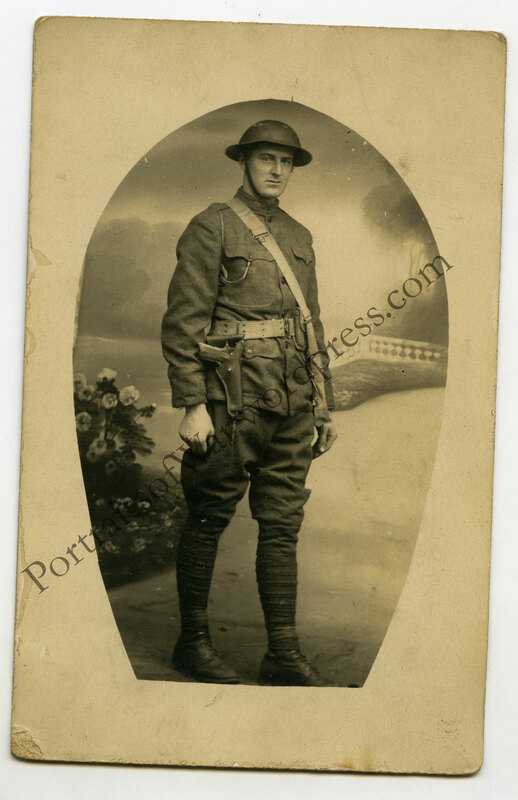 John Winterich was one of the first writers for the Stars and Stripes, managing editor, and eventually one of the most influential bibliophiles of the early twentieth century. He is credited with having penned over 275 articles in over nearly 150 publications as well as having written the introduction to the American classic Of Mice and Men. 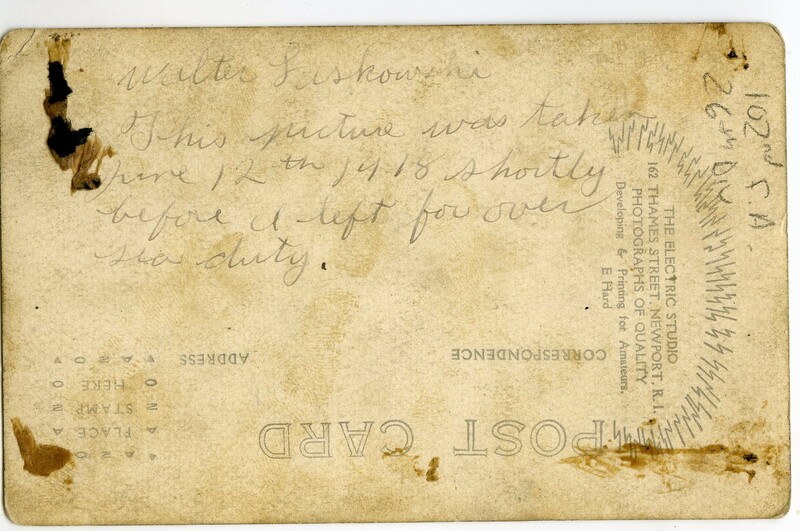 In a rare acquisition, I was able to pick up an original wartime signed postcard by Mr. Winterich in which he describes his present location and state of health to his mother back home in Rhode Island. The best part? I only paid $3.00! 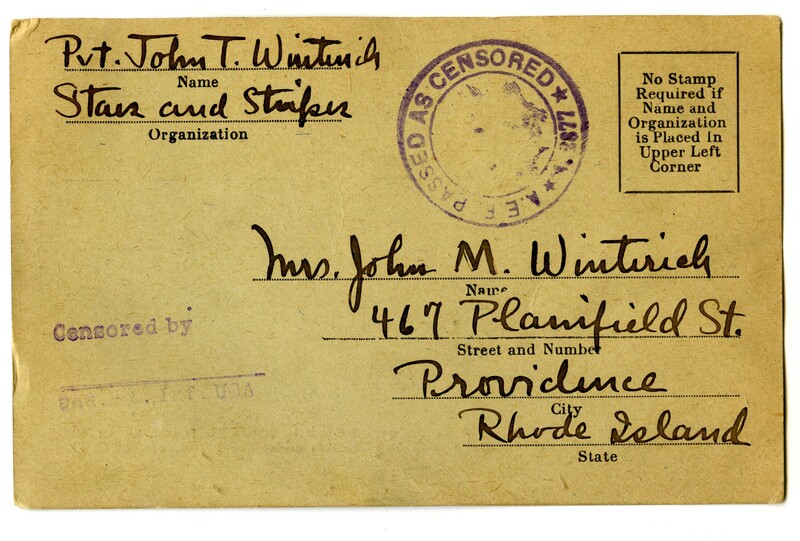 "Censor & Press Co. No. 1. 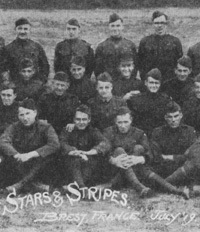 Staff of Stars & Stripes. Brest, France. July '19." Photograph. From Harry L. Katz, A Brief History of The Stars and Stripes, Official Newspaper of the American Expeditionary Forces in France (Washington, D.C.: Columbia Publishing Co., 1921), p. 41. They don’t get much better than this! 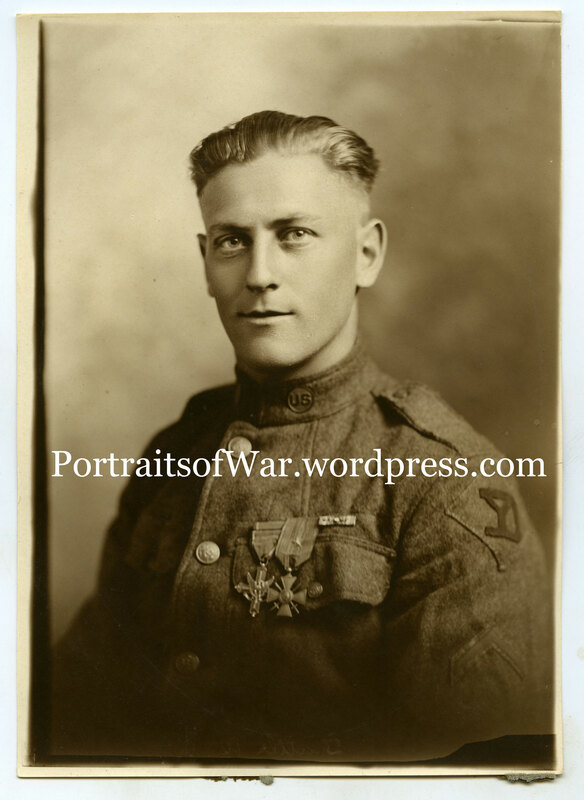 Check out the detail on the equipment – this is the first photo in my collection that shows the M1911 pistol lanyard hanging from the right breast pocket. I’ve owned a few in my day, but have always sold them to buy photos! 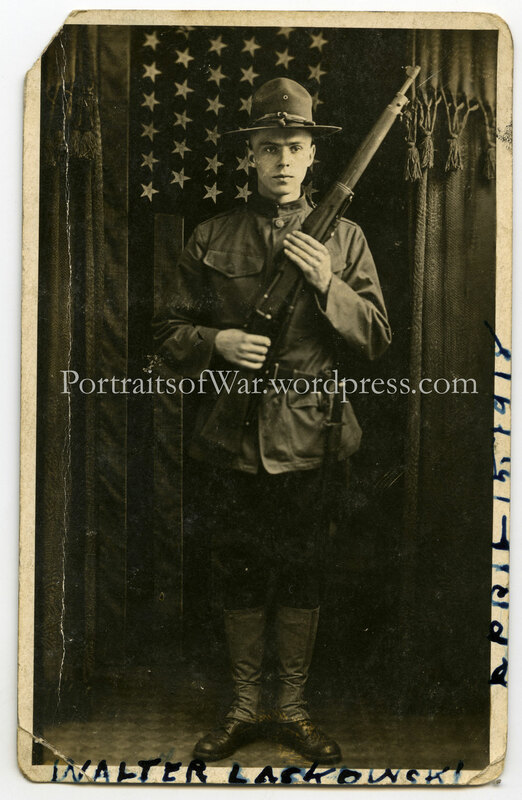 The soldier is proudly posing with his slightly dented helmet and his M1911 and leather holster proudly presented. A top ten shot for me! 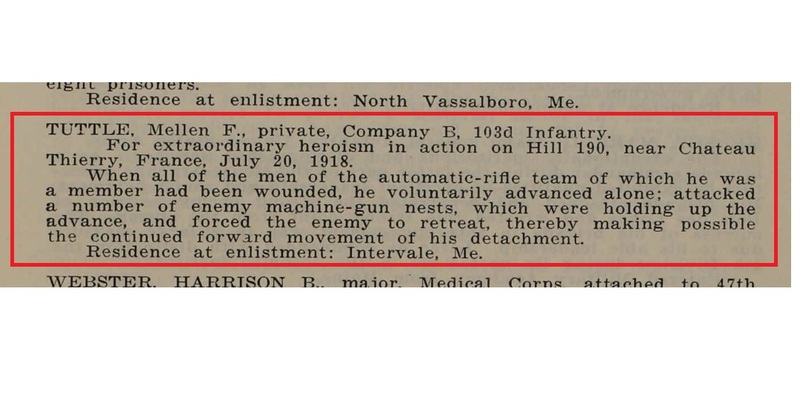 Originally a member of the 8th Co. Coastal Artillery based out of Narragansett Bay (RI) until April 1918, Walter eventually joined the 102nd Field Artillery of the 26th Yankee Division. 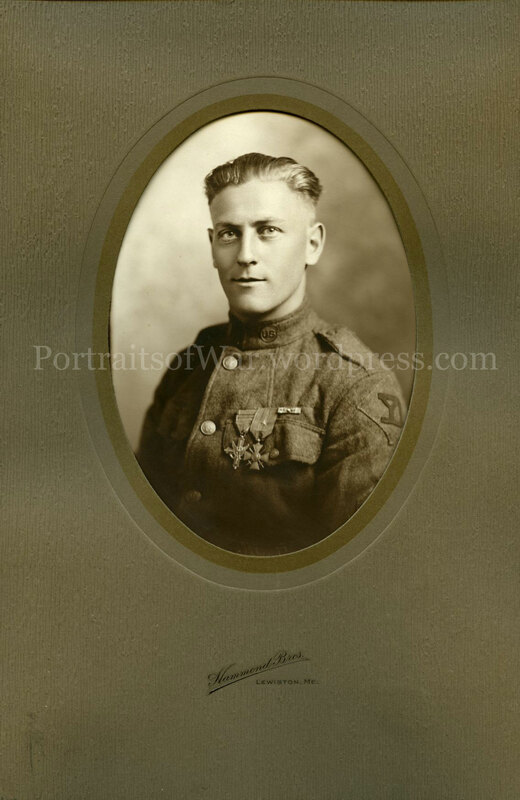 I was lucky enough to acquire two inscribed photographs depicting Walter in both roles. 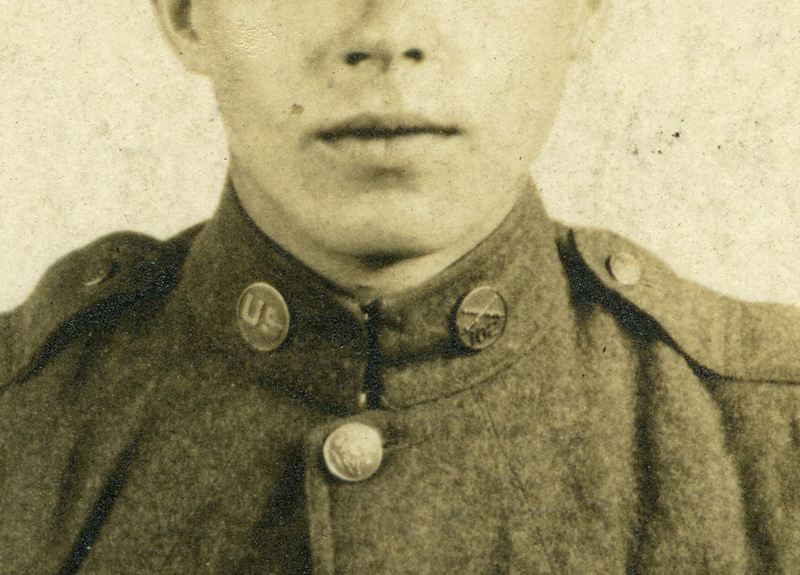 His seated portrait was taken before his June 1918 departure for overseas service. 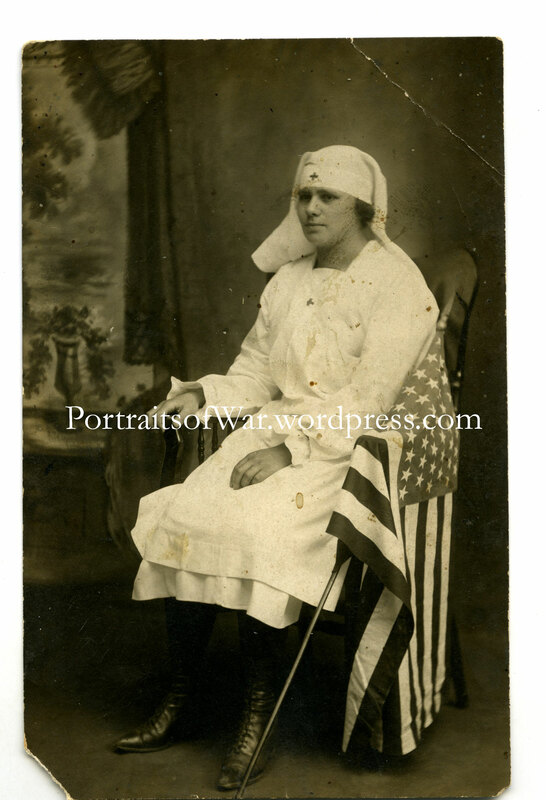 An interestingly decorated backmark shows that the seated portrait was taken in at 162 Thames Street in Newport, RI. The Electric Studio’s logo includes a fanned array of lightning bolts emanating from the written portion of the backmark.